OPV has its own modern photo studio designed for product photography. OPV can offer packshot photography, 360 degree photography and 360×360 products in 3D. OPV has employees with many years of experience in photography, image post-processing, retouching and image manipulation. OPV always look to maintain the quality of stored images in our DAM, whether we photograph or the images are supplied by customer digitally, in accordance requirement of our customers or external recipient. OPV comply with the GS1® Product Image Specification for all photographed Images within the segment Grocery and Pharmacy industry. OPV is also a member of the development committee that regulates and develops GS1® Product Image Specification, so that we can always guarantee our customers Images according to GS1 standards. Product photography of single products is something that we have undertaken for the Swedish Suppliers since the 90th century. The end result is always a digital image with clipping path, color and temperature correction. The images are delivered in size to fit high quality prints, as well as for the Internet. Product photography for Space Management and to be used for the creation of planograms. The final images are adapted to all Space Management systems in the market and comes with custom alpha masks. Post processing & Image assembly is always performed on all the images before publication. An image supplied by us always comply with requirements set by buyers and we always deliver Images suitable for many different media. We also perform advanced photo montage if customer wishes environment images or collection of images of individual Pack Shots. Computer Generated Images has many advantages, one is the ability to deliver realistic digital images long before the product is manufactured. Most often are the external requests to access a digital image far ahead of the supplier capability to produce the package and then photograph it. Using the Art work for the product packaging, OPV could deliver finished digital images with 3D nature long before the product is manufactured. OPV’s Photo Studio has the technology and the skill to transform a 2D Art Work to a real 3D image with the same, if not better, quality as a studio photographed product. Suppliers decide how sent samples of goods should be handled after a product is photographed and embedded in the OPV System. 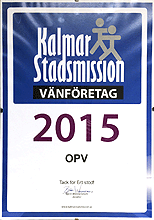 If the supplier does not announce that they want the product in return, OPV will donate all products to Kalmar Stadsmission. Contact us at OPV Media Systems AB, and we will tell more about our Professional Photo Studio and what we can offer you. OPV has more than 100 000 photo shoots behind us and in addition many years of experience.